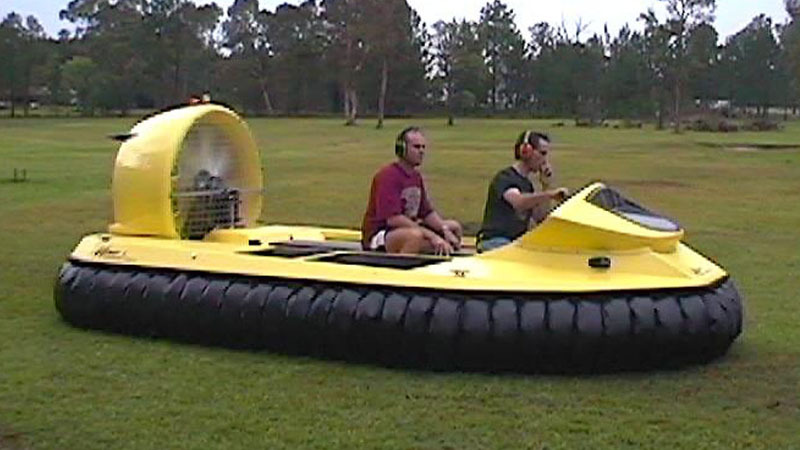 Viper 5 Hovercraft is a practical 4 - 5 person hovercraft which is ideal for fishing, farming, industrial and recreational use. Viper 5 Hovercraft is manufactured to impeccable standards, offering outstanding performance and reliability. The Viper 5 is a light, simple, robust design, making it ideal for customers with high expectations and low cost in mind. 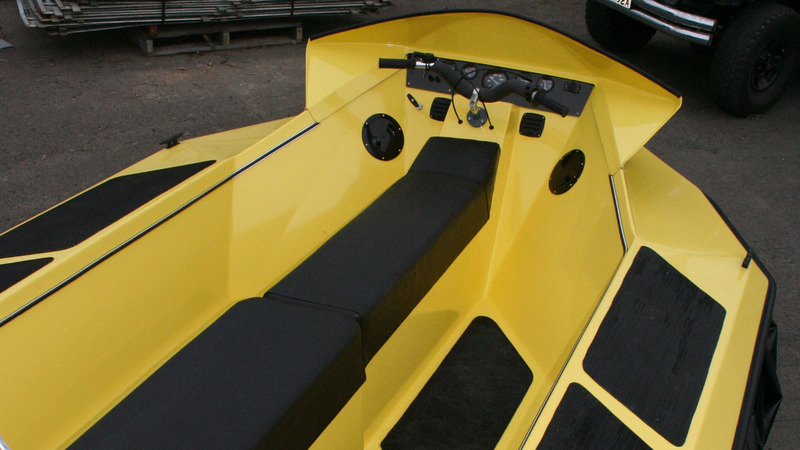 The Viper 5, like all our hovercraft retains a beautiful finish, with well laid out features that provide comfort and safety. It is simply a joy to fly without the need to for full power, or struggling in high winds and large chop. The Viper 5 series is manufactured using the best materials and engine available. The hull is light and incredibly strong, by taking advantage of high end fiberglass fabrics, resins and fabrication techniques. The Viper 5 Hovercraft is a stable floating platform for fishing, diving and retrieving. Our positive buoyancy system ensures a unsinkable Hovercraft, even if it is completely swamped. It is a practical with easy passage to all interior and deck areas. 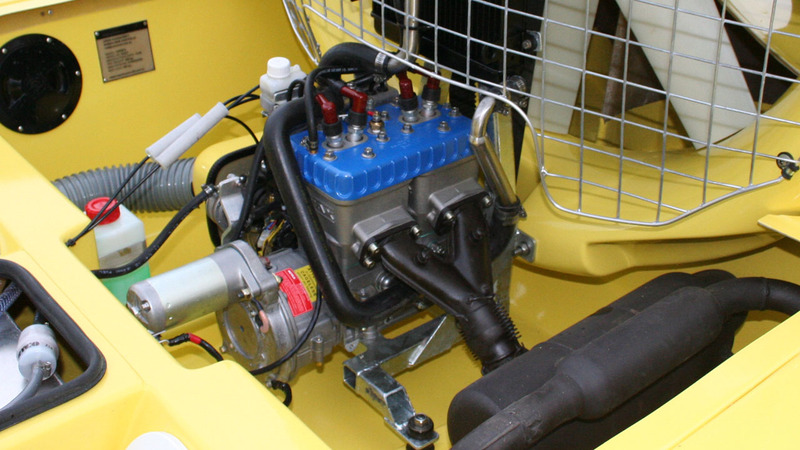 The Viper 5 Hovercraft is powered by a 64hp Rotax 582UL17 water cooled engine. 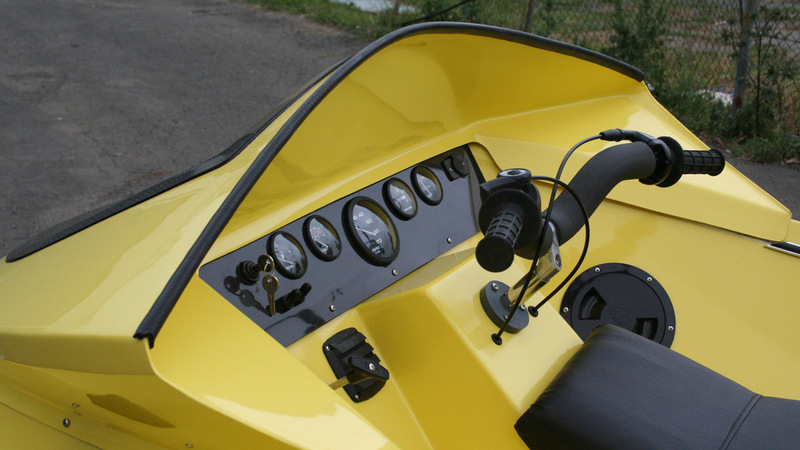 This engine offers adequate performance for up to four persons in most conditions, and up to 5 persons in calm conditions.